'The moment I first met you, I noticed your pride, your sense of superiority, and your selfish disdain for the feelings of others. You are the last man in the world whom I could ever be persuaded to marry,' said Elizabeth Bennet. And so Elizabeth rejects the proud Mr Darcy. Can nothing overcome her prejudice against him? And what of the other Bennet girls - their fortunes, and misfortunes, in the business of getting husbands? This famous novel by Jane Austen is full of wise and humorous observation of the people and manners of her times. 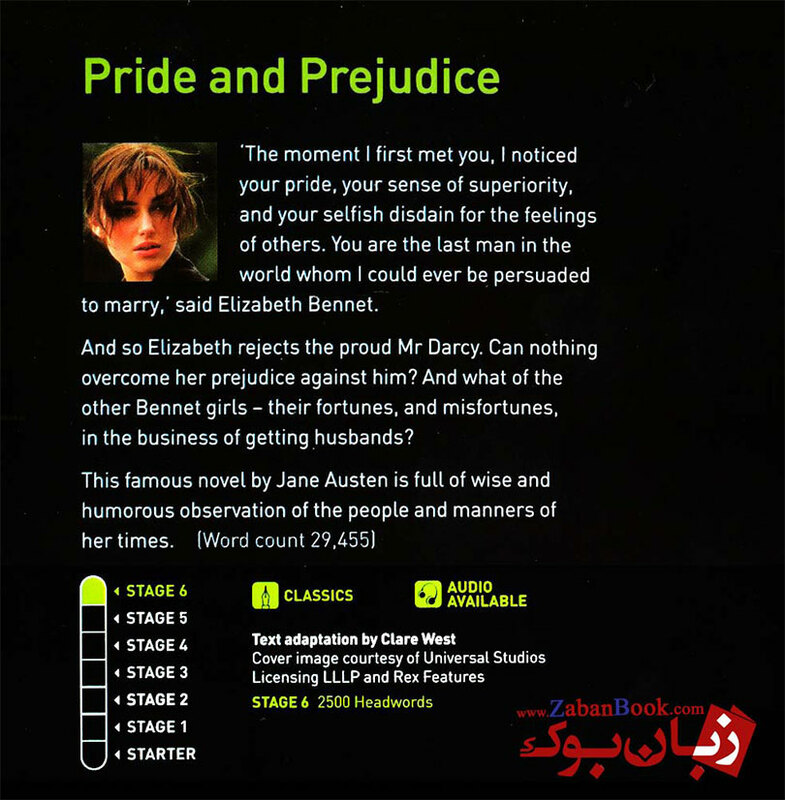 کتاب های داستان Oxford Bookworms در 6 سطح اصلی و یک سطح آغارین (Starter) دسته بندی شده است و زبان آموز پس از انتخاب سطح مناسب خود با مطالعه ی 3 یا 4 کتاب از هر سطح، می تواند مطابق روش آموزش داده شده در ادامه، به سطح بالاتری قدم گذارد.